Oral histories can be an invaluable aid to genealogical research. Often the information we seek isn’t written down in any official documents but contained in the memories of our relatives. But how do we go about gathering that information? This talk will offer advice on collecting oral histories and some lessons learnt from his work with the Cork Folklore Project. David Ryan is a professional genealogist based just outside of Cork city, Ireland. 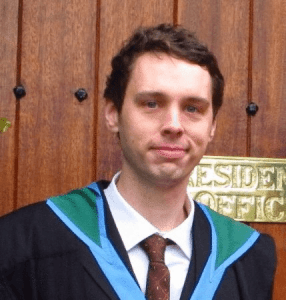 His research interests include landlord and tenant relations in South Tipperary in the aftermath of the Great Famine and monumental memorial plaques in historic parish churches. Outside of genealogy, he is a keen advocate for the continued digital preservation of historic documents. He currently works as a researcher with the Cork Folklore Project, a community based oral history archive.